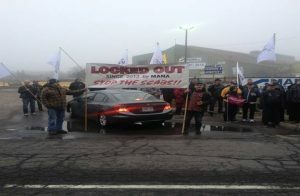 For more information on the lockout, click here. 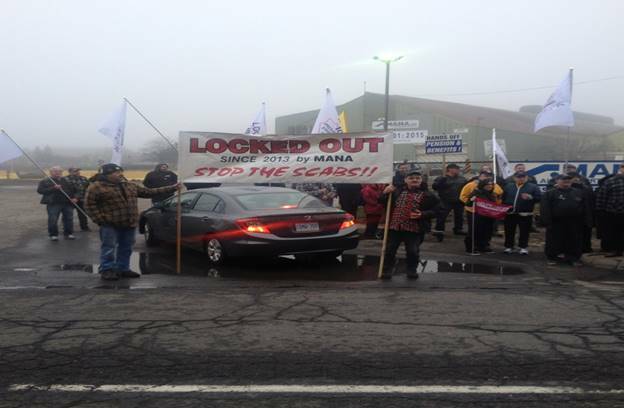 Mana Workers have been locked out for 5 years. Workers ask that you rally with them June 29th from 5am to 9am. Company asking for huge concessions. Company running the plant with SCABS 50 to 60 scabs cross daily . Please bring your flags, sign, banners, and noisemakers.